Dutch, Jersey Wooly, Lionhead, Mini Lop rabbits for sale and more! All listings were checked and believed to be current as of April 2013. This directory is a courtesy service. We at the Nature Trail do not know all of these breeders and cannot personally endorse them. If you are a breeder and would like to be listed on this page, simply fill out this submission form! We are a small backyard rabbitry run by 4-H children. I raise quality show and breeding stock. We travel regularly to shows in the Illinois/Wisconsin area. We occasionally have black New Zealands. Dwarf Hotot’s in Black banded’s, and starting Chocolate banded’s &Jersey Woolies in Agouti’s and Blue-Eyed whites!! 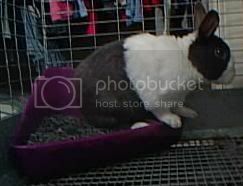 All of our rabbits we sell are purebred have pedigrees and are litter trained. Located in southern Ontario, 1 hour outside of Toronto. Holland Lops, English Lops. Might stop the English Lops. I do Holland Lops and English lops. Please feel free to go to my website. French lops in tort, agouti and harlequin. Flemish Giant in black, blue, fawn, light gray, sandy, and white. Holland Lops in tri-colored, harley, and red. We are member’s of ARBA and NFFGRB. We raise rabbits to show and have babies for sale at times. We raise quality Flemish Giants, current colors Fawn, Light Gray, Sandy, Steel and White. I am available 99.9% of the time, feel free to email and set up a time to come out and look! Small private rabbitry breeding pedigreed show quality stock. have most varieties, but specialize in shadeds and selfs. Blue, as well as Broken and Shadeds. Breeding for show and some pets. Purebred Pedigreed Lionheads and Lion Lops in rare colors as well as some of the more common ones. Lionheads in Washington State. We breed for quality, not quantity! Located on highway 10 and 412 Kansas Oklahoma 74347 Northeast corner of the state close to the Arkansas line. Pedigreed Holland lops and fbdm Lionheads in almost every color. Lionheads for Therapy, Show & Pet. 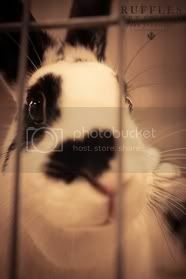 My rabbitry is generally small. We raise lionheads mainly specializing in blue eyed whites, Harlequins, magpie, and tort. We only do purebred pet quality. Located in Michigan on two sites: North Adams, Hillsdale County and Monroe, Monroe County. We have pedigrees for all our bunnies. We do not ship, sorry. CountryBunniesRabbitry specialize in Mini Lops only. We most always have bunnies for sale. Thank You!